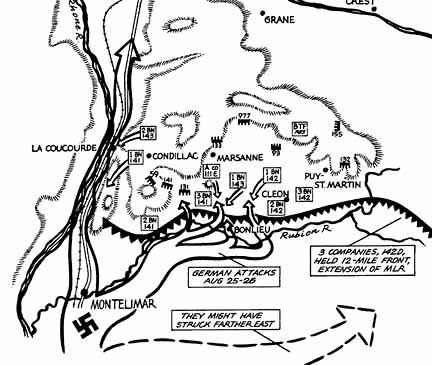 Elements of the 141st arrive to join Butler Task Force and attempt to enter Montelimar. German traffic pours up both sides of the Rhone valley. 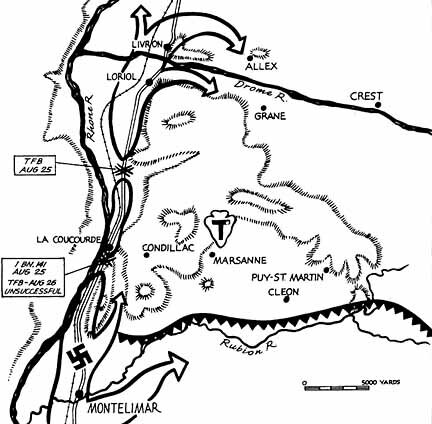 GERMAN ATTACKS against the Division main line, established along the Rubion creekbed, were driven off. 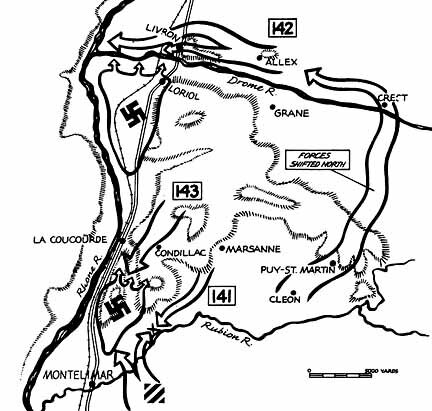 Eight Battalions of artillery raked enemy forces streaming up Rhone valley. HIGHWAY 7 was cut temporarily but our blocks were smashed by sheer weight of enemy attacks. 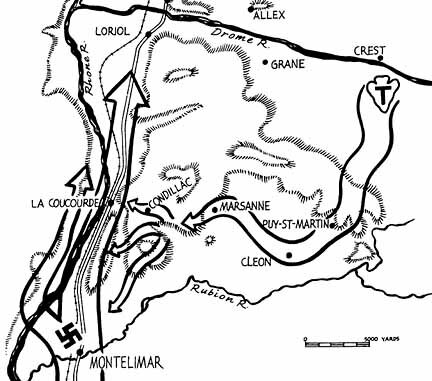 Germans threatened encirclement by driving for Allex and Grane. IN LAST PHASE of Montelimar battle thousands of the fleeing remnant were pocketed at La Coucourde and Livron. The 3rd Division, pushing up from the south, joined with the 141st.